Gene Palubicki has revealed the title and cover of the forthcoming album for HELLS HEADBANGERS: “The Tempter’s Victorious”. Our first album for new label home Hells Headbangers, PERDITION TEMPLE’s “The Tempter’s Victorious” will feature eight new tracks and striking cover art done by Adam Burke. “The Tempter’s Victorious” will also be preceded by a 7″ EP, with an exclusive original PERDITION TEMPLE track as well as a special B-side cover track. 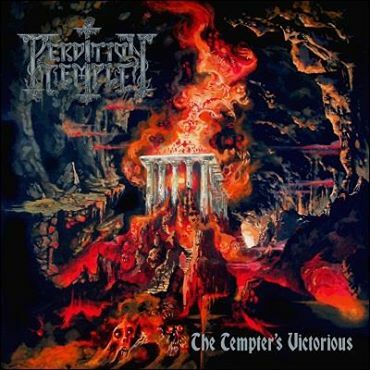 Recordings for “The Tempter’s Victorious” will begin in the coming months for a projected release by early 2015.